There have been several updates to the existing Cyprus citizenship – by investment program. The Council of Ministers revised the existing program on 19 March 2014, enabling foreign nationals to gain citizenship if they meet certain criteria set out by the council of ministers. When you acquire citizenship under the Cyprus citizenship program, you and your family enjoy full citizenship for life, which can be passed on to future generations by decent. Cyprus has been a full member of the EU since 2004, The island is located in the north eastern Mediterranean Sea, at the crossroads of Europe, Asia and Africa. The strategic location of the island has played an important role in its development as a financial centre. Cyprus, with its warm and stable climate and convenient geographic position, is considered an attractive place for residence. The investment landscape in Cyprus is beneficial due to the island’s well-qualified labour force, attractive taxation and a reliable transport and telecommunications system. Cyprus has a modern, free-market, service-based economy, with an effective and transparent regulatory and legal framework, giving international investors and businesses confidence to invest, grow and prosper. Cyprus has ranked 65th out of 144 countries by the World Economic Forum Global Competitiveness Report 2015-2016. A number of new measures have been implemented to reboot the economy in the wake of the massive restructuring of the country’s banking sector, which aim, among other things to help stimulate economic growth. The Citizenship – by – Investment Program requires a person τo make a significant economic investment to the country. In exchange, and subject to a stringent vetting and due diligence process, including thorough background checks, the applicants and their families are granted citizenship. The council of Ministers reduced the investment criteria to EUR 2.5 million fo investors who have their application Submitted at least EUR 2.5 million each. Each of the total five Investors are free to invest in any qualifying route (expect bank deposit) and or any real estate project of their choice. The applicant must purchase financial assets of Cypriot companies or Cypriot organizations (bonds, securities or debentures registered and issued in the Republic of Cyprus) of at least EUR 2.5 million. This option would require the candidate or a company or trust of which he is in the main beneficiary to hold a fixed deposit of at least EUR 5 million in a local bank for at least three years. Purchase, creation or participation in Cypriot business or companies. The applicant must make an investment of at least EUR 2.5 million in the purchase, creation or participation in businesses or companies that are based and operating in the Republic. These businesses or companies should have a demonstrable and tangible presence in Cyprus and employ at least five Cypriot citizens. In all cases, the applicant must have a clean criminal record. Also, the name of the applicant must not be included in the list of persons on whose name there is a freezing or confiscation order of property within the boundaries of the EU. In addition, every applicant must be the owner of a permanent residence in Cyprus, with a market value of at least EUR 500,000 plus VAT. It is understood that the members of the same family, who submit different, applications as investors, can buy collectively a residence provided that the total amount of the residence/house covers the amount of EUR 500,000 for each applicant. Under each of these options, there are government processing fees of EUR 7,250; legal fees upon request. Our market intelligence team has conducted extensive research on the real estate market and can advise on unique or specific searches and present investment options that have passed our due diligence. The client will receive a detailed application package and checklist of the documents that must be collected and submitted with the application. While the checklist includes various documents, the most time-consuming may be requested ahead of time, such as birth certificates, marriage and divorce certificates, as well as police clearance certificates from your country of origin and residence if different. Once a citizenship application is submitted to the Ministry of Interior, it is forwarded to the Ministry of Finance for examination of the financial criteria. Once clearance must finalize the investment. Once the Ministry of Interior is satisfied, the application is routed to the Council of Ministers for ratification. Once ratified by the Council of Ministers, a Citizenship Certificate is issued. Once this is available, you will need to visit our offices in Cyprus where we will lead you through the final steps. You will take an Oath to the Republic and have you Citizenship Certificate stamped. With the stamped Citizenship Certificate at hand, we are then able to facilitate the application for your biometric Cypriot (EU) passport and ID which can be issued in a fast-track process of two to three hours, and you can then immediately enjoy the benefits of being an EU citizen. There are no restrictions on dual citizenship in Cyprus. Individuals are considered as a tax residence of Cyprus if they spend more 183 days per annum in Cyprus. Tax residence are taxed on all chargeable income that is accrued or derived from any source in Cyprus and abroad, Non-tax residents are only taxed on certain income accrued or derived from a source in Cyprus. Any foreign taxes that are paid can be credited against personal income tax liability. Personal tax on income generated in Cyprus is taxes at progressive rates up to 35%. Tax varies according to the individual’s tax status. Immovable Property Tax is levied at 0.6% – 1.9% imposed on the value of the property in 1980, and is payable on 30 September each year. This amount is calculated per owner, not per property for both legal and physical residents. The corporate tax rate is 12.5% VAT of 19% is imposed on the supply of goods and delivery of service in Cyprus, including the acquisition of goods from the European Union and the importation of goods into Cyprus. Citizenship of an EU member state, and as an EU citizen you enjoy the right to freedom of movement; freedom to work and study, and security within the social and legal system. Full citizenship with passport is granted to the applicant and family. 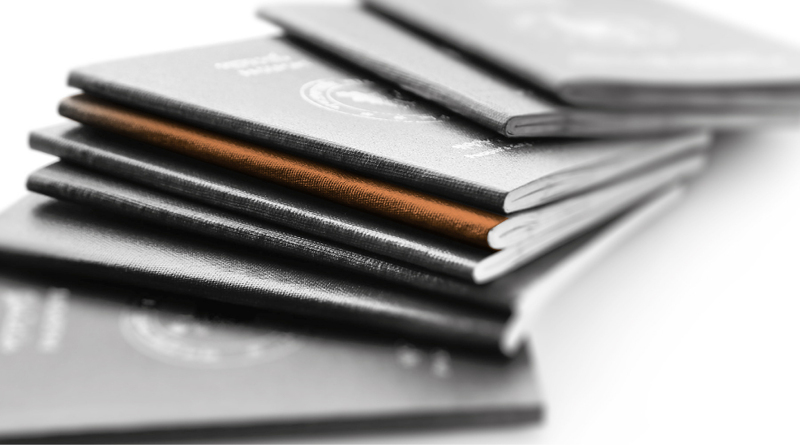 A Cyprus passport allows visa-free travel to 159 countries including Canada, Hong Kong, Singapore, and the UK. Flexible options with no residence required; and approval usually within 90 days. A simple documentation process for investing, not donating your wealth.